Partly cloudy skies. Low 41F. Winds NW at 10 to 15 mph..
Columbus Telegram Recycling is a curbside recycling service based in Columbus, Nebraska. If you live in Columbus or in selected rural areas outside of city limits, you can sign up for this service. Columbus Telegram Recycling makes the chore of recycling into an easy task. You will receive a container and then you fill it up with your paper, cans, and glass. No sorting is necessary with Columbus Telegram Recycling - just throw all the recyclables into your container. Each week, we will come to your house and collect your recyclables at your curb. We collect much more than just newspapers - don't let the name fool you. We collect glass and plastic bags and containers, metal cans, and all types of paper. You can put all of these items in your container, unsorted, and we will recycle them for you. We provide our customers with one or two 18-gallon bins. These bins come with lids also so you can avoid recyclables blowing away. Just give us a call and we will help you decide how many containers best suits your needs. Doing what is best for the environment has never been easier. 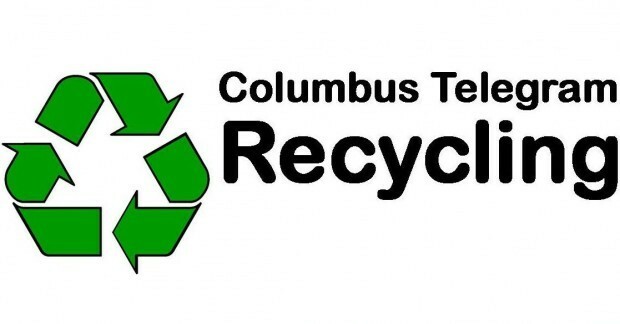 Sign up for Columbus Telegram Recycling Today!